Computers revolutionized our world with their microsecond response times and multifaceted applications. With time we have progressed to a point where even the extra second that it takes for us to locate an application in the computer to open it has started irking us. This is where the keyboard shortcuts to applications come into the picture. It might only take a few seconds to find your Word App in the Start menu and open it, but with a keyboard shortcut you could manage that in a fraction of the time. 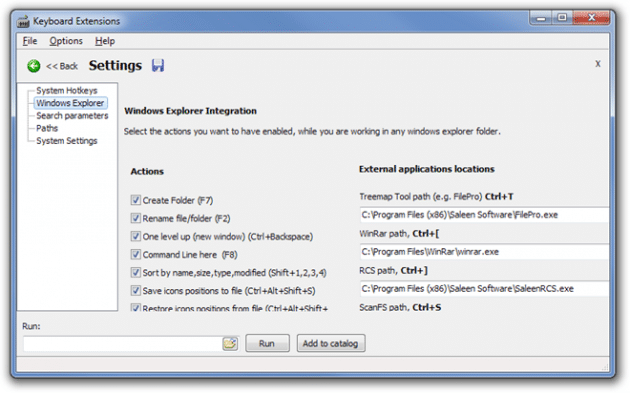 These shortcuts are especially useful for those applications which are embedded deep into the folder system of your Windows machine. It is a good idea to assign keyboard shortcuts for those apps that you open regularly. The only requirement for you to be able to assign keyboard shortcuts is that you have the administrative privileges or the administrator’s password to the system. A user who does not have complete administrative authority on the system would not be able to make these changes. Go to the Location that Houses the App: Locate the app that you need a keyboard shortcut for and go to that location through your folder structure. For example if you need a shortcut to open Paint then C:\ProgramData\Microsoft\Windows\StartMenu\Program\Accessories\Paint is where you need to go to. Access App Properties: Once you have located the app, right click it and select properties. Taking our example a step further once we right click on paint and open its properties we should get a number of options like its ‘Target type’, ‘Target location’ and more. The property of our interest here is the ‘Shortcut key’ property which by default is set to none. Change the Shortcut Key Value: Type in the alphabet that you want to use as a shortcut for opening the app. In our case if we type in ‘P’ then Windows automatically grants a Shortcut key which could be something like Ctrl+Alt+P. When Asked for Administrator Permission Click on Continue: As stated earlier only an administrator can make the keyboard shortcut assignments. Once you click on apply the system would prompt you with an access denied message where you need to hit continue if you are logged in as an administrator or the system might ask you to put in the administrator password to continue. Finally click OK to close the property dialog box. Ensuring that your most visited apps open at the click of a few keys is as simple as this. However, there are some keys that cannot be a part of the shortcut assigned. 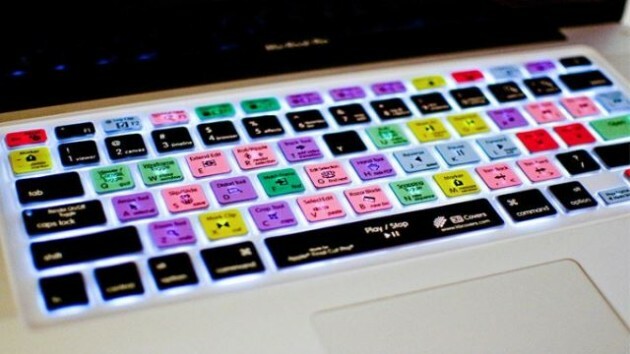 These are the Esc key, Enter, Tab, Shift, Space bar, Backspace and PrtScn keys. The shortcut assignment might also not work if you try to assign an already existing shortcut key for a program to another app as well. KeyboardExt is an app which is available on the Windows official page. This app is created for the express purpose of allowing easy access to all the applications in your computer. 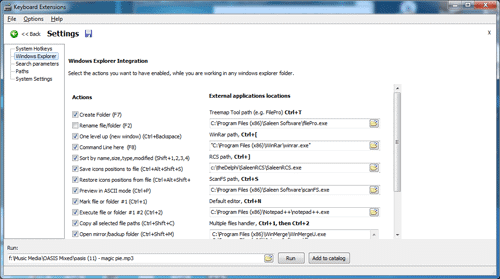 The KeyboardExt app window has a list of all the applications available in a Windows device, thus there is no requirement to navigate through a complicated folder structure in order to reach any app. 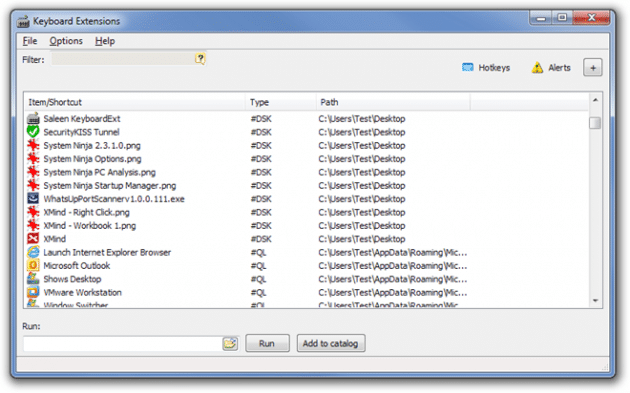 The KeyboardExt window provides an easy way to locate and open any app of your choice. KeyboardExt not only gets all apps at an easily accessible location but also provides a means of creating keyboard hotkeys for any apps of your choice. Select the Hotkey option from the top right of the keyboard extensions window. Once there you would see a set of predetermined hotkeys for your system. Click on New Hotkey available on the top left corner of the window. The New Hotkey window has 3 fields that you need to fill in. The first description field should ideally contain the name of the application so that you are able to identify the hotkey at a later date. The second empty tab is the actual key that would serve as a shortcut for opening the application. It is possible to use any one button on the keyboard combined with Windows, Ctrl, Tab or Shift buttons. It is also possible to use a combination of these special buttons together, in fact KeyboardExt allows you to create a hotkey that has all the 4 special buttons combined with another alphabet or number. The third field is the Command Line which should contain the path to reach the app of your choice. It is also possible to give a program title in case you have more than one instance of the same program. Once all the important fields have been filled up click on the ‘Add Hotkey’ button. There are a number of System Hotkeys which can also be explored through the ‘Options’ tab in the KeyboardExt app. Click on ‘System Hotkeys’ in the Options tab and you would get a list of the keys available. Check the box next to the keys that you wish to activate. One word of caution though, it is easy to get carried away and create too many Hotkeys since the process is so simple. Keeping track of a multitude of hotkeys might present a problem, thus use shortcuts only for those applications that are used very frequently and which are embedded deep into your system. Thanks to these keyboard shortcuts you would be able to open applications of your choice in a jiffy. These shortcuts not only save time but also make the entire process a lot simpler. No more repeated delving around the complicated pathways of your computer, opening your favorite apps is now just a click away. The process for creating the shortcuts might take some time but that is a good investment in the long term as it could save you a lot of repeated effort.